Based in the Lincoln Center’s Avery Fisher Hall, the New York Philharmonic is America’s oldest symphony orchestra, and it is one of the most prestigious. Visit the Philharmonic for a classic musical experience. Experience the Dance of the Sugar Plum Fairy firsthand; feel the tragedy of Swan Lake; or simply witness the grace of some of the country’s most talented dancers. The New York City Ballet, located in the Lincoln Center Plaza, boasts a long history, an impressive company of dancers, and an ability to inspire awe. The Museum of Modern Art has been called the most influential modern art institution in the world, and few would argue. The museum features drawings, paintings, architecture, design, sculpture, photography, and much more. Furthermore, the museum hosts a library and archives that contain information about tens of thousands of artists. Forget facts, however, and immerse yourself in modern and contemporary art. 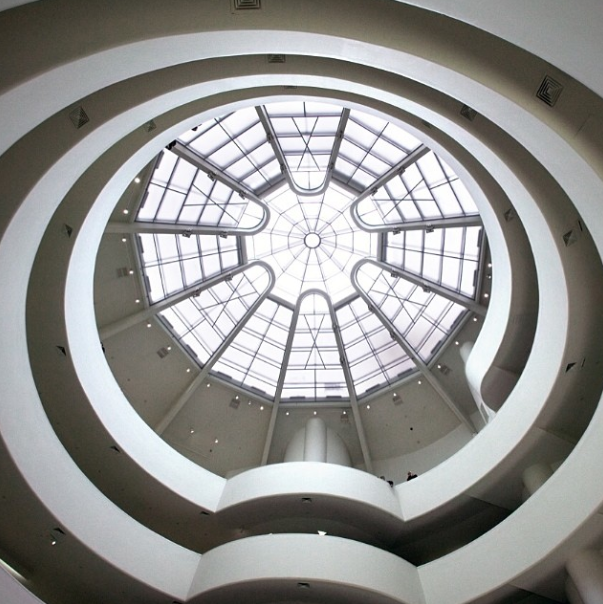 The Solomon R. Guggenheim Museum, often referred to simply as the Guggenheim Museum, is a popular museum that features Impressionist, post-Impressionist, modern, and contemporary art. Beyond the artwork inside, the building itself was designed by Frank Lloyd Wright. The Guggenheim is well-known for its collection, but the building itself has evolved into a cultural icon: it’s been featured in TV shows, movies, cartoons, and comics. The Metropolitan Opera, one of the founding members of the Lincoln Center, has been producing operas in New York City since 1880. The Metropolitan Opera is the largest classical music organization in North America. It produces 27 shows a year across multiple genres of music. Outside of the opera house, the Metropolitan Opera also broadcasts some of its performances on the radio, on television, and on the internet. The Metropolitan Museum of Art is the United States’ largest art museum; it houses some of the country’s most significant art collections that cover many centuries and many parts of the world. The museum’s purpose, as stated at its founding in 1870, is “establishing and maintaining in said city a Museum and library of art, of encouraging and developing the study of the fine arts, and the application of arts to manufacture and practical life, of advancing the general knowledge of kindred subjects, and, to that end, of furnishing popular instruction.” The Met accomplishes all its goals magnificently. Carnegie Hall has been the source of many artists’ dreams — to play in front of an audience on that illustrious stage has motivated generations of musicians. Carnegie Hall was borne out of another man’s dreams: those of well-known philanthropist Andrew Carnegie in 1891. For more than a century, this concert hall has been considered one of the most prestigious venues for music, classical and popular. While the venue hasn’t had its own company for a long time, it nevertheless hosts about 250 performances a year.